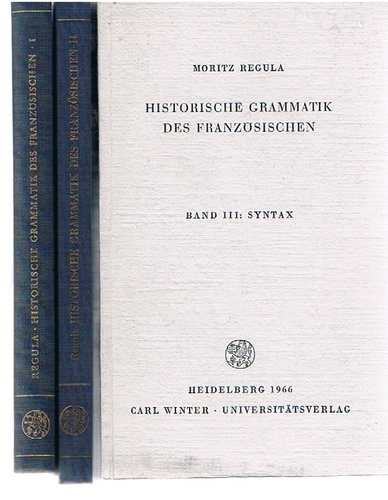 Historische Grammatik des Französischen: Band 1 Lautlehre, Band 2 Formenlehre, Band 3 Syntax. Three volumes complete. A nice clean, tight set. Vols I and II in usual blue cloth, vol III printed card wrappers (not available in cloth in this edition). 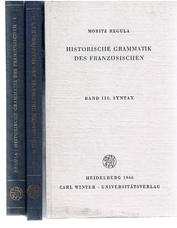 ; French historical grammar in German.